In an ideal world, science is a wholly objective pursuit. The facts are indisputable. But such a model is too simple to represent reality. Every day new research challenges long-held tenets, probing our understanding to make sure that we do indeed have our facts straight. When all the known data fits one theory, we declare we understand—until the next anomaly. In this landscape of uncertainty and possibility, keeping an open mind is paramount to being a good scientist. Experiments are subject to interpretation; therefore, they are also subject to bias. Perhaps the most insidious form is confirmation bias: neglecting to look carefully at results that confirm our preconceptions. Our colleagues can counter such tunnel vision. That is why open discussion in the literature, in peer review, and in conferences and meetings is critical to the health and integrity of science. How do we ensure that open discourse thrives? It begins with civility. In addition to formal politeness and courtesy, civility is the commitment to set aside vanity and competitiveness to work together. We recall that our common purpose is to find the facts. We invite and welcome feedback from all sources. Our arguments attack the logic of the research rather than the competence or motives of the researcher. We correct to educate, not to shame. In interactions with colleagues who are not close friends, civility is necessary to smooth the way for honest debate. Compliments show our appreciation for the effort presented, while content-based questions can express our dissatisfaction with the science. A bullying, disrespectful attitude lends no weight to such questions. In fact, this tone defeats the purpose of questioning, because no real discussion ensues. For those inclined to fight, the discussion degenerates into exaggerated claims to carry the point. For those inclined to avoid conflict, the questioner’s premise is accepted without scrutiny. In both cases, science loses. So let’s all do science a favor and mind our manners, though perhaps someone cares to respectfully disagree? 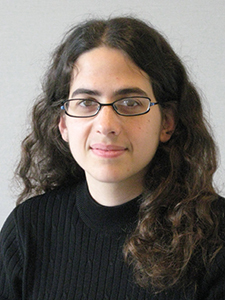 Sarah Brittman is a postdoctoral researcher at FOM Institute AMOLF in Amsterdam, the Netherlands, and a member of the Early Career Advisory Board for Nano Letters.